Winner of the 2011 Knights Inn Property of the Year, the Knights Inn Traverse City is your perfect "home away from home!" 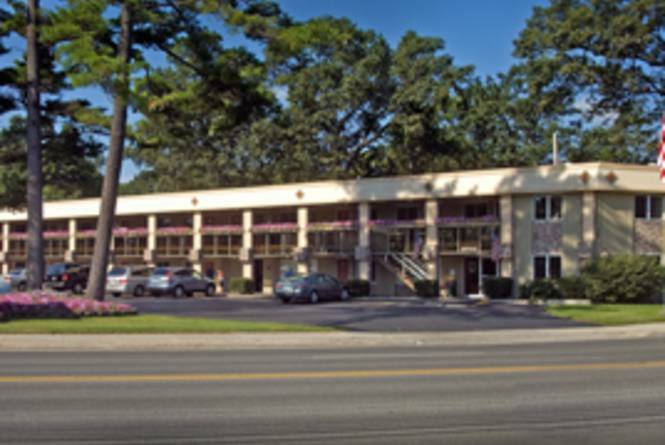 Conveniently located only two miles from charming downtown Traverse City, the hotel is a short distance from the breath taking orchards and vineyards, unique shopping, eclectic restaurants, and sandy beaches that make this area a true year round destination. Completely renovated in 2009, the Knights Inn Traverse City features Serta pillow-top beds, cherry wood in-room furniture, mini-refrigerators and flat screen televisions in each of our 37 guest rooms. An expanded continental breakfast is included with each stay, served near the stone fireplace in our cozy lobby. For those who need to "stay in touch" while away, we offer complimentary wireless internet access, along with free local and long distance calls. Northern Michigan is at its best in the summer, and a relaxing swim in our 84 degree seasonal outdoor pool is a terrific way to enjoy that warm sunshine. The pool is located in a private garden setting where poolside you can read a book in the shade, or lounge in the sun to work on that tan. When its time to eat, Traverse City has a wide range of dining options to suit all palates. Many of the restaurants offer various local agricultural products, including the fruits and regional wines from the Old Mission and Leelanau Peninsulas. The Cottage Restaurant, located a short distance from the hotel property, serves a great breakfast, lunch or dinner menu from 7 am through 10 pm daily, offering all Knights Inn guests a 10% discount. Whether you are in the area to take in a Traverse City Beach Bums baseball game, tour a local winery, visit Northwestern Michigan College, experience the National Cherry Festival or Traverse City Film Festival, or just get away...we invite you to stay at the Knights Inn Traverse City. Come and experience the "hidden gem" of Traverse City!